Q: Can you give me tips on handling employees’ or workers’ request for salary hike? A: As a business owner, you need to handle salary negotiation positively. Employees asking for salary increase are not trained to negotiate properly. They use different approaches. They can discuss salary comparisons with other employees hoping that you will notice it or they can drop hints to see your reaction or they can simply threaten to resign. 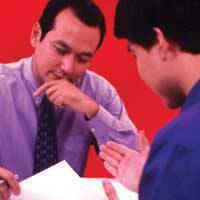 It is important that you encourage your employees to be objective when it comes to negotiation. You can ask around in your industry and get an idea of the average salary of an employee with a similar function. Using this as a guide, you more or less have an idea how much increase you should be willing to give to your employee. Bear in mind that you recognize the value of employee's role in your company, for example, his contribution to your sales. At the same time, recognize also the value of the employee to you personally. There are employees that are great sales contributors but are not loyal to you. There are also employees that are not so great but very loyal who cares for you and your business.